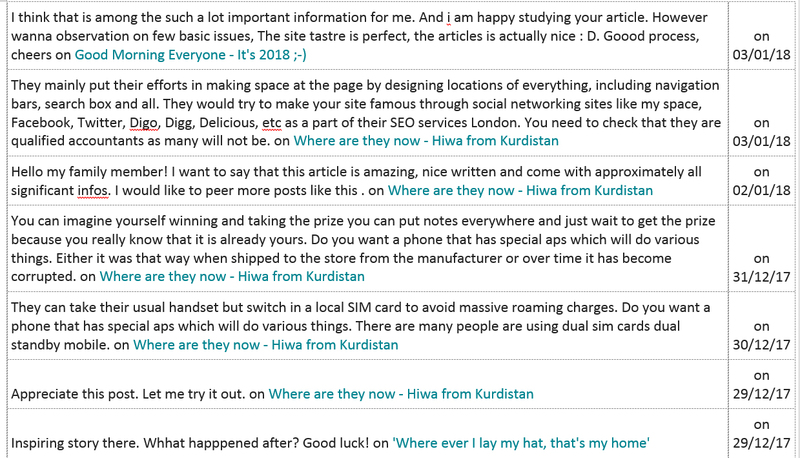 One of the 'pleasures' of managing a blog in today's competitive market is keeping all the rubbish off the site. Everyone is vying for your attention (even us) and some will resort to any means to get their views. The only reason for posting them below is for amusement, LSI Portsmouth is a language school that teaches English. The comments below are so obviously fake and not relevant to the post they have commented on that they raise a smile (if you are in the mood). One of the key interesting points is that these comments all came over the Christmas holidays and almost without exception were posted on two blogs. 'Where are they now? 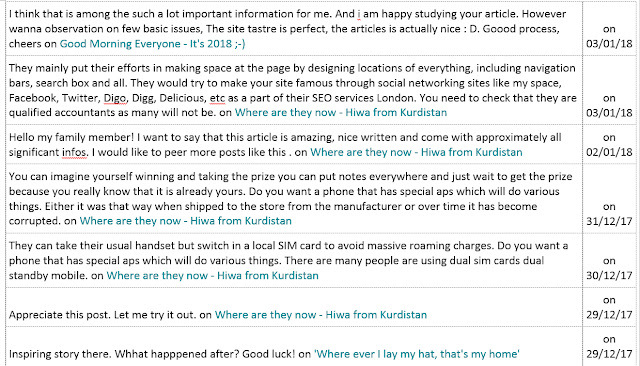 Hiwa from Kurdistan' was a blog about a former student of ours, who went on to Portsmouth University and had an Art exhibition. 'Where ever I lay my hat, that's my home' which was about a new student house that LSI set up. The final smile comes with the last one shown below - which was purely a picture wishing everyone a happy new year. If you have a slightly warped sense of humour, have a look below and have a smile. For anyone interested, here are a variety of terms and their definitions of what happens. Splog or Spam Blog is a blog that is created purely for linking to other websites. 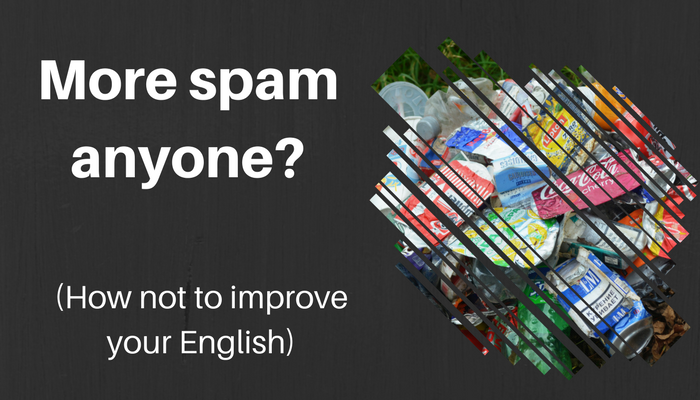 Some common features of spam blogs are; Rubbish, junk, meaningless or repetitive content. Articles on similar topics are often repeated using a few targeted keywords throughout the content, generally very noticeably not naturally. Spamdexing, from “spam” and “indexing,” is the practice of search engine spamming. Search Engines are how people find blogs. It is a form of SEO spamming. SEO is short for Search Engine Optimization, having your website optimized, or attractive, to the major search engines for optimal indexing. A splog (spam blog) is a fake blog created purely to promote affiliated Web sites, which when following the links below (if they are published) are always completely fake and have the sole purpose of skewing search results and artificially boosting traffic.